Colorectal cancer does not typically present symptoms until it has reached the advanced stage, by which time treatment options become limited. Dr. David Yamini therefore advises patients at his Beverly Hills and Santa Monica offices to undergo regular colorectal cancer screenings as a precaution. This type of cancer develops from polyps in the colon which go undetected, except in the rare cases where the patient experiences bloody stools or irregular bowel movements. Even when patients do experience symptoms of colorectal cancer, he or she may not think there is a need to consult with a gastroenterologist. It only takes a short appointment and a minimally invasive examination for Dr. Yamini to determine whether polyps are present in the colon. Dr. Yamini understands the risks of colorectal cancer, which is why providing a screening is an important part of the services he offers. We do not believe that our patients should have to go through the trauma of cancer treatment when a simple procedure may prevent the disease from developing in the colon. If polyps are found in the colon, it is important to have them removed before cancer has the opportunity to develop. This procedure is part of preventive medicine and is carried out with the patient’s overall digestive health in mind. 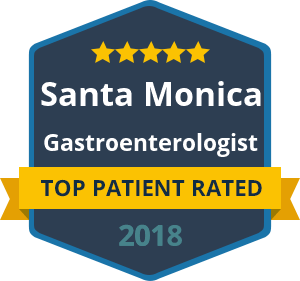 You will not find a more dedicated team of gastroenterology professionals than those who work under the leadership of Dr. Yamini. To ensure you receive the treatment you need, colorectal cancer scanning should become a part of your regular appointments at Dr. Yamini’s offices. Contact us today if you would like to arrange a colorectal cancer screening. If you are not sure what is involved in the procedure, feel free to ask further questions when you speak to one of Dr. Yamini’s friendly staff.